The Arsenal Center kicks off 2016 with an all ages day of fun! 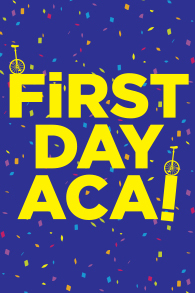 Come to the Arsenal Center for the Arts from 1-3 pm on Friday, January 1, 2016 and ring in the New Year with music and art at First Day ACA! Young, old, and everyone in between will enjoy the catchy, pop-infused music of Karen K & the Jitterbugs, whose award-winning songs will have the audience dancing in their seats and asking for more. The whole family will laugh and gasp at the zany acrobatics of The Airborne Comedians, whose act includes 7 foot unicycles! And, as always at the Arsenal Center, we’ll have art projects like lantern making for kids, and more! This is a free event, sponsored by Watertown Savings Bank, and is open to the public and appropriate for all ages! For more information, visit arsenalarts.org!